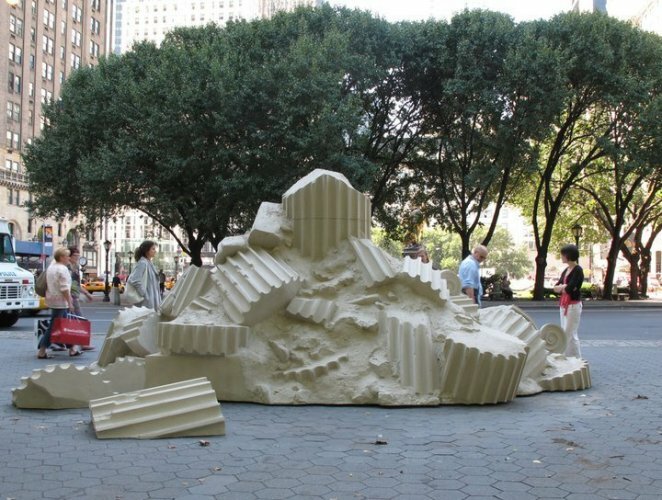 Ryan Gander has been commissioned by the Public Art Fund to create a new installation for the Doris C. Freedman Plaza at the southeast corner of Central Park, New York. Entitled The Happy Prince, the installation is on view from September 15, 2010 - April 10, 2011. Ryan Gander will also launch the fall 2010 Public Art Fund Talks series on Thursday, September 16 at 6:30pm with one of his celebrated Loose Associations presentations. In conjunction with this project, the Solomon R. Guggenheim Museum will also present a new commission by Ryan Gander from October 1 - January 9, 2011.